Faced with these realities, Pope Francis invited us to have a heart like God’s – capable of anger, pain, and closeness to others – one that is both human and divine. 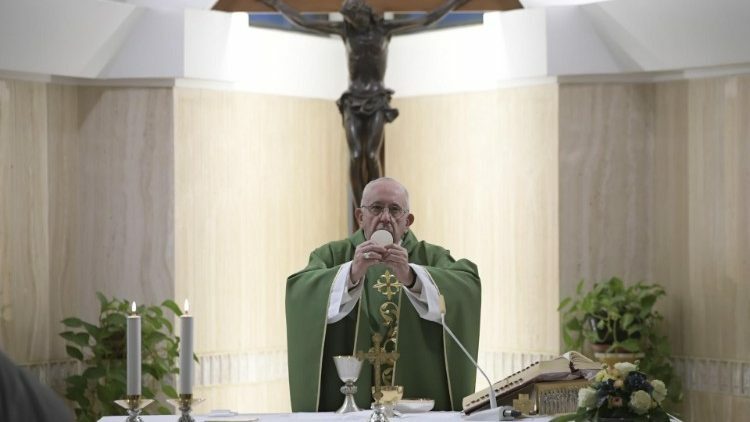 The Pope highlighted God’s suffering when He sees the evil of men and women, and noted that God “regretted” having created people so much that He decided to erase us from the face of the earth. This is a God with feelings, said Pope Francis, “who is not abstract” and who “suffers”, calling this “the mystery of the Lord”. Pope Francis said our relationship with God is one “of heart to heart, of son to Father who opens Himself, and if He is capable of feeling pain in His heart, then we, too, will be able to feel pain before Him.” The Pope said this is not sentimentalism, but the truth. Our times, he said, are not so different from those of the flood. There are problems and calamities, poor, hungry, persecuted, and tortured people, “people who die in war because others throw bombs as if they were candy”. Pope Francis said we need to ask for the grace to have “a heart like the heart of God – one made in the likeness of God” that feels pain when witnessing others suffer.